This past Monday I posted this picture to Instagram. More often than not I come across the most beautiful individuals who have awesome ideas! Even more often than that, when I ask why he or she hasn’t stepped out on faith to try a new idea they have talked about, fear and the opinion of others is usually the answer. Now when it comes to fear I usually refer to this scripture in the Bible. As for the opinion of others….why do we allow that to stop us from trying something that could potentially be amazing? Why do we let what people think or say keep us from bearing fruit using the “inspired ideas” that we have been given? Why do we allow the opinion of someone to become our truth? Especially when their opinion is usually negative? You know things like “Why would you wanna try that?! That is such a waste of time.” or “No way! You can’t pull that off. Let’s just keep doing what we usually do.” or “I doubt that happens for you. You aren’t like (insert name of person ten chapters ahead in their own journey of life which has no relation to how your journey will play out).” Oh and let’s not forget all of the things we may say to ourselves that stop us from going forth. Now of course I have fallen prey to this type of hurtful thinking and used it as an excuse as to why my idea should just stay an idea but at some point we can not allow this behavior to continue. The purpose of this post is to point out that we don’t have to keep making the same mistake. Instead of giving our energy to those nay sayers let’s focus on the dream at hand! Let’s put our full attention on our Lord Jesus who will help us every step of the way! Let’s surround ourselves with the people who believe in us and want to see us use the gifts and talents we have been given. Let’s hold on to the words that encourage and edify us in spirit and truth! 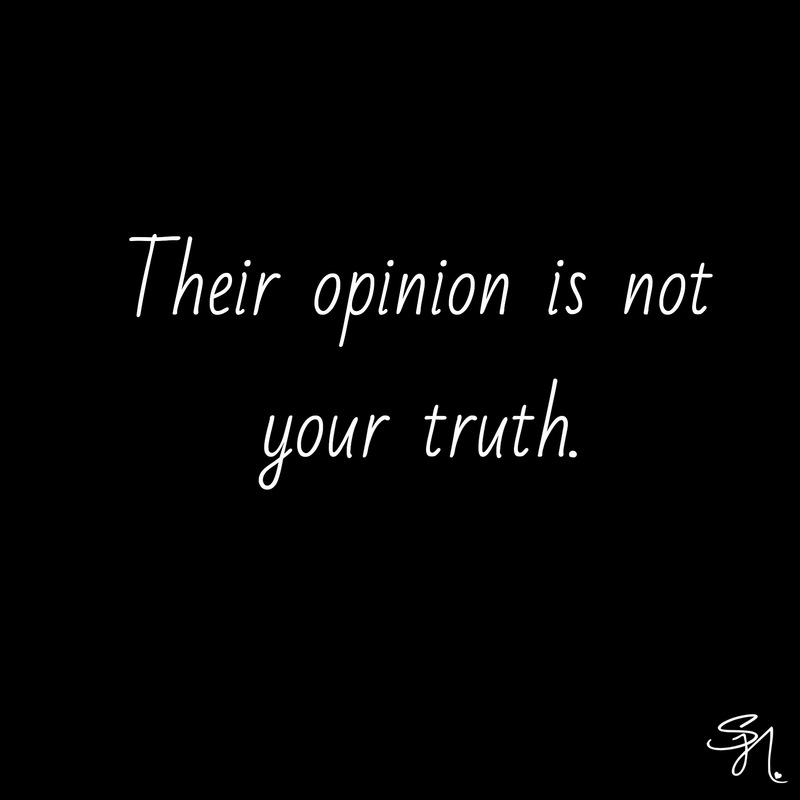 I repeat : THEIR (NEGATIVE) OPINION IS NOT YOUR TRUTH! What have you been dreaming of doing lately? Share it below and let’s begin to encourage each other!